Green living doesn’t mean you have to submit yourself to a constant state of utilitarian pieces or drown your home in plants. 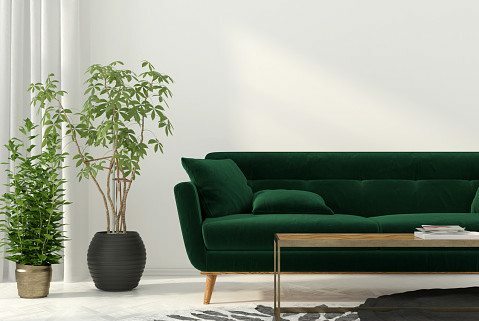 What green living decor does offer is the chance to create a simple, spare home with plenty of calming open spaces and unique pieces that truly stand out. Harvest the power of the sun to decorate your home and yard with solar lights that brighten pathways and plants without needing to burn electricity. This can be as simple as installing solar lights along pathways to adding water features such as aerators to keep small ponds or water gardens fresh. Other outdoor options to banish the darkness include a white fence, reflective plant pots or a path of white marble chips perfectly laid out to reflect the moonlight. Adding white moonflowers that will open as the moon rises and make your garden beautiful and fragrant is another option to brighten your outdoor space. Mirrored surfaces do a great job of bouncing natural light around the interior of your home. If your budget is limited, you can use inexpensive wardrobe or closet mirrors at unique angles to brighten any space. You may choose to adorn the mirrors with stained glass paint or any pigment mixed with craft glue to create a nice imitation of stained glass treatment. Fans of sustainable living will appreciate the calm and nutritional benefits of plants placed in windows, on tables, and counters. Adding peppermint to your inventory of houseplants can shoo away spiders and other pests. Lemon seeds can be set to sprout in an empty pot for a bright spot of fresh, aromatic greenery. Don’t forget the edibles! Lettuce and spinach can be grown at home. Beet sprouts are beautiful in potting soil and on the plate, and chard is a striking shade of deep green. If you’re low on decorative pieces, a terrific spider plant is a great visual accent piece—not to mention that it’s very effective in cleaning indoor air. If you love to entertain in the great outdoors, there are plenty of plants that can keep your yard smelling and looking good, dispel pesky bugs, and season your favorite dishes. Fresh herbs such as basil, lavender, and lemongrass are known for sending away houseflies and mosquitoes scurrying from your home and your guests. Some other plants don’t just create gorgeous surroundings, but also repel insects that go after your vegetables. For example, Allium is a beautiful plant in the landscape that repels aphids and slugs. If your soil is sandy and very popular with moles, consider planting narcissus and send moles packing. When choosing green home decor features, products such as laminate floorings can be worrisome because of the outgassing of these products. If you’re deciding between replacing cabinets or repainting them, be aware that many of the laminates and particle board products used in new cabinet construction can release unhealthy vapors into your home. Re-using previously laid carpet takes some skill, but there are many people who need a warm rug for a chilly room and would be happy to put it to use. Putting everything in your home to excellent use (even the things you are getting rid of) is a great example of green home decor. Take things slowly. Study the coverage quality available in low-VOC and non-VOC paints and be sure to follow the preparatory painting instructions so you get excellent adherence for the long term. 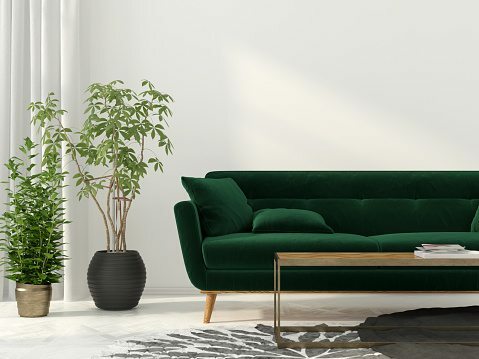 When considering the best green living decor ideas, it’s important to consider carefully what you buy. An old house in dire need of updating can be a win-win for you and the environment because you do not have to dispose of newer cabinets or carpets. Tearing out the gritty, worn carpet is a messy job, but very satisfying. Arranging your outdoor living area and gardens gives people a good reason to try various green living decoration ideas. Depending on your horticultural zone, you can enjoy beautiful flowering plants, shrubs, and trees that also provide you with organic produce. Several attractive plants in the landscape also serve other purposes. Cherry trees, for example, have been widely used in making succulent pies and preserves. The same goes with the fruits you get from blackberry bushes and pear trees. These fruit-bearing plants not only add beauty to your landscape but also provide you with ingredients to create decadent food. Talk to local gardeners. If you know of a house in your neighborhood that has a wild display of sunflowers, stop by and talk to the homeowner when they’re out working on their flower beds. They’ll likely have plenty of valuable advice for what to plant and when, and you may get seeds or a bag of iris rhizomes to take with you. Gardeners are generous! Your home and garden should be an oasis for you and your family to gather and recharge. If you’re low on wall art, relax and enjoy the peace of open spaces. Work on each space (indoor or outdoor) as you have time and funds. Investing in products that aren’t useful to you or that you’ll have to replace soon is a waste of your resources and creative energy. Trust yourself to create a natural, soothing atmosphere in each space of your home.